My blog (www.mortentolboll.blogspot.com) consists of so-called Sûnyatâ Sutras. 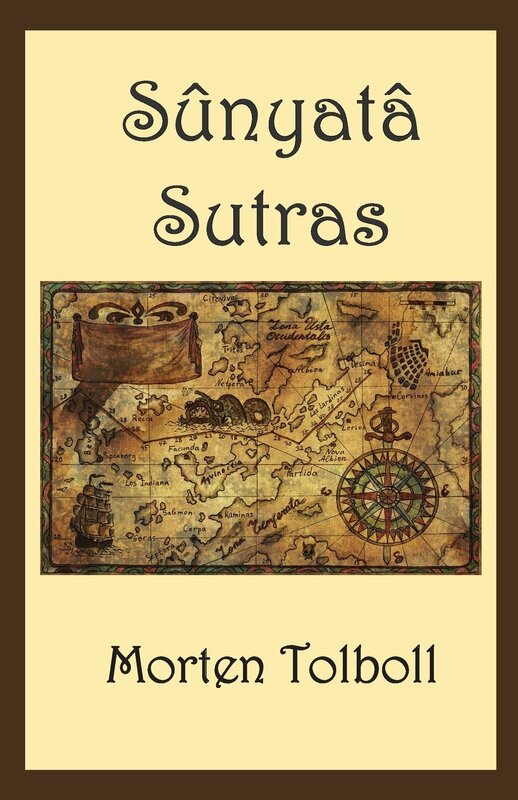 In my book Sûnyatâ Sutras (free download) I have published a collection of them. [Note! Until Sunday, October 1, 2017, the blog consisted of my Sûnyatâ Sutras. Hereafter I will return to my first book Meditation as an Art of Life – a Basic Reader, and write about the art of asking philosophical questions in a meditative-existential way]. 1) Critical thinking (spotting thought distortions, created by dualistic unbalance, both in yourself and in others - see my book A Dictionary of Thought Distortions, which is a manual in critical thinking - free download). 2) Investigating the shadow (ignorance, the unconscious, the painbody, the cause of suffering, your own dark side, the Ego - see my articles The Emotional Painbody and why Psychotherapy can´t Heal it, The Ego-inflation in the New Age and Self-help Environment, and Suffering as an Entrance to the Source). 3) The spiritual practice (going beyond all ideas and images). Where the six books mainly are focusing on 1 and 2, then the Sutras on my blog, in accordance with the above-mentioned description, are entirely focusing on 3. In meditative reading it is important to understand, that the answers in the texts aren´t conclusions to anything, but exclusively tools for your own self-inquiry. This means, that they are a help finding your questions´/problems´ implicit philosophical questions, and investigating them in a meditative-existential way. As the philosopher Ludwig Wittgenstein says in his Tractatus, then the words only are a ladder, which you can use to rise above them. Afterwards you throw it away. In the same way, they say in Zen, that the words only are a finger pointing at the moon. You shall never confuse the finger with the moon. That, whereof you can´t speak, about that you must be silent. But then you precisely have entered into the wordless silence. The texts are worked out in a way, so that they can be read independently of each other. This means, that there are coming some repetitions. But when you practice meditative reading, you don´t read primarily to get new information, but in order to enter into another state of consciousness when you read - which means, that you as a reader, rather than evaluating, are trying to relate neutral to what you read. You take a mental step backwards, and observe yourself and what is happening. You so to speak use the text as a mirror, in which you discover yourself. This is the reason why you can read the same many times, and still feel that it is fresh and new every time. The meaning is, that you shall read the texts slowly. Many times, you may want to take a break and give place to a moment of reflection or silence. At other times, you may open the book on a casual place and read some lines. You can also try to see the texts in relation to each other. If you for example are engaged by a problem that one of the texts is about, it can be, that the problem is made even more clear by seeing it in relation to other texts. Take for example the philosophical question Who am I? You will soon find out, that this philosophical question becomes more and more clarified in the other texts. This question recurs in other words in all philosophical questions. A philosophical inquiry will always in the end be a self-inquiry, regardless of what the philosophical question is about. Because who is it who puts the question, and who is it who examines the question? If you work with the texts in this way you will discover, that you are being teached from a deeper layer in you, from your being in the Now, from life itself, yes, from the Source itself. You will be trained in seeing your personal problems from questions common to all mankind, and to see these in relation to each other. You are in action with a real philosophical inquiry, which opens your consciousness in towards the Source.